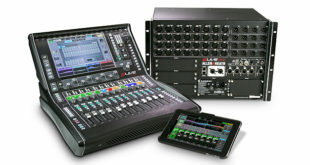 A&H's new ZED60-10FX will be launched at 2012's Prolight + Sound event. The company's recently released GLD mixer, Xone DJ gear and other recent ZED series releases will also be on display. 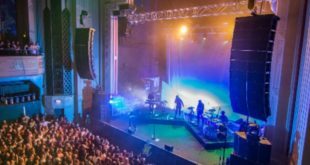 Cornwall-based British pro audio manufacturer, Allen & Heath, are to launch their new ZED60-10FX mixer at the Prolight + Sound event in Frankfurt between march 21st and 24th. The Allen & Heath ZED60-10FX—which is based on the top selling ZED-10FX—is a compact, portable mixer which is ideal for solo artists and small bands. The main difference between the ZED60-10FX and ZED-10FX is the inclusion of premium quality 60mm faders on the new model. In addition to these new faders, the ZED60-10FX also includes four mono mic/line channels. Two of these channels have high impedance jack inputs. This means the ZED60-10FX can take a normal line level or low level input from a guitar pickup. Handily, this allows users to plug guitars directly into the mixer rather than having to make them pass through a DI unit. The mixer is also included with two stereo inputs. These allow users to connect MP3/CD players or keyboards to the board. What is more, the ZED60-10FX comes equipped with configurable USB audio in/out allowing it to capture stereo recordings. 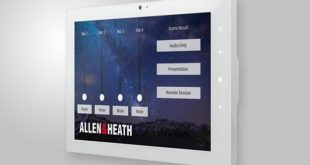 It also features XLR main stereo inputs, a monitoring section (with both headphone and speaker feed outputs) and 16 time-delay digital effects—which are pulled from the popular Allen & Heath iLive digital mixing system—which can be controlled using 3 buttons with 9 display LEDs. The ZED60-10FX will not be flying the flag of the ZED series by itself. Also on show will be the recently released ZED-16FX (10 full mono and 3 dual stereo channels) and ZED-18 (10 full mono and 4 dual stereo channels). In addition to showcasing the new members of the ZED series A&H will also be showcasing the GLD mixer launched earlier in the year along with the recent additions to the Xone DJ range. 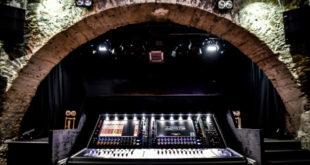 According to A&H, pride of place on their Frankfurt stand will be their recently released GLD mixing system which was launched at Winter NAMM 2012 and covered by Audio Pro International back in January. Also on show will be the latest models from A&H’s Xone DJ range—the Xone:DB2 digital mixer and Xone:K2 MIDI controller. The Xone:DB2 retains all the elements of the larger Xone:DB4 but at a more accessible price bracket and incorporates two powerful multi-FX engines. The 4-channel internal soundcard Xone:K2 MIDI controller and audio interface has a configurable MIDI surface. This includes tri-colour LED illumination, USB bus power and A&H’s X:LINK which allows the Xone:K2 MIDI to connect easily to other Xone tech. Allen & Heath will be in Hall 8.0 at Stand C22 at Prolight + Sound between march 21st and 24th.